Shorter days and plummeting temperatures can only mean one thing – winter has arrived. What better way to escape the cold than with a winter villa holiday? Whether you're looking to unwind on a pristine sandy beach, or take advantage of dry mild days made for hiking, a vitamin D fix can be the perfect antidote for those winter blues. Take advantage of warmer climates in some truly captivating destinations. From The Algarve to The Caribbean – you'll soon be waving goodbye to those chilly, icy mornings. Sunshine state by name, sunshine state by nature. Florida is the perfect winter villa getaway, boasting some of the warmest temperatures in the USA. Great news for nature lovers! Manatees love these climes – giving you the best chance to see these majestic creatures en masse! From Manatees to the mouse himself, Florida is probably most famed for the magic of Walt Disney World Resort. And for good reason! The place where dreams come true is perfect for both family fun and the young at heart – the only question is which of the six parks you'll be exploring first! 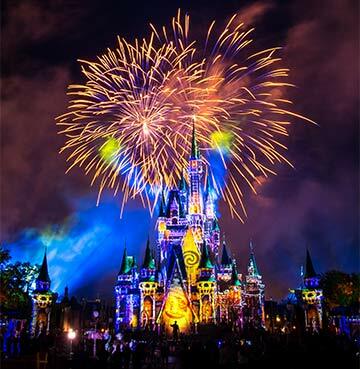 Spark your imagination with parades and shows galore, or stare in wonder at the breathtaking firework displays that illuminate Cinderella's castle. Once you've had your fill of the parks, enjoy the simple life at Disney Springs. An eclectic mix of unique boutiques, one-of-a-kind eateries and jaw-dropping entertainment will have you wondering where the day went! Whether you're an adrenaline junkie looking for the fastest rollercoasters, or a keen adventurer excited to explore the Everglades National Park – Florida has something for everyone. From fireworks to swamps and everything in between, a winter villa holiday here is the perfect remedy to the chilly UK weather. Winter in the Caribbean is always a good idea. Little rainfall, low humidity and pleasantly cool nights make the perfect climate cocktail for your dream tropical retreat. Not to mention the sizzling 26°C temperatures! All destinations boast glorious golden beaches, luscious rainforest canopies, an abundance of wildlife, and infectious chilled vibes and charm. But don't be fooled – each Island oozes its own unique character. With villas in ideal locations so you can make the most of your hours in the glorious sunshine. Relax on the powdery white beaches of beautiful Barbados, or go paddling in its brilliant turquoise bays. Breathe in the breathtaking beauty of St. Lucia and marvel at the mountainous Pitons, covered with lush rainforest from top to bottom. Head north to Antigua where you'll discover a huge choice of outdoor activities. Swimming, fishing, paddle boarding, snorkelling, day sailing – you name it, Antigua's got it! The Atlantic winds in the east create excellent conditions for experienced windsurfers, whilst Half Moon Bay offers up hours of bodyboarding fun (with a gentler wave for the less experienced among us). Locals will tell you Antigua has a beach for every day of the year. So rest assured that there's no shortage of coves and bays to lie back, relax, and listen to the tranquil waters lapping against the pristine shoreline. The Dominican Republic sits further North. With stunning mountain scenery, desert shrublands, evocative colonial architecture and you guessed it – beaches galore! With the perfect blend of relaxation and adventure, you’re sure to find the ideal villa getaway in this diverse and scenic destination. 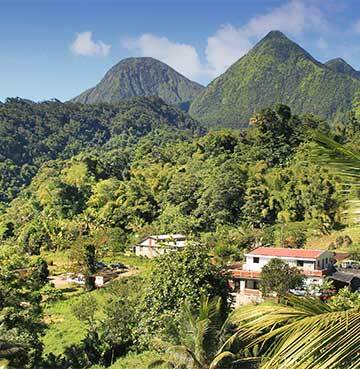 Last, but certainly not least, head west again to the vibrant island of Jamaica. The Caribbean country that comes with its own soundtrack. It’s a hard rhythm to resist. Infectious and inviting, Jamaica makes for an unforgettable winter villa getaway. Honeycombed with limestone caves and caverns, mountains and rivers, rainforests and lagoons – here is another diverse landscape just asking for adventure! The happy-go-lucky lifestyle and culture is an ideal way to kick-back, slow down, and sun away the days. Sounds like a good winter escape to us. A huge selection of villas, apartments and townhouses are spread out across five irresistible destinations. The year-round warm climate and short four and a half hour flight makes Tenerife a fantastic destination to escape the chilly winter weather. You really are spoilt for choice on this beautiful little island. 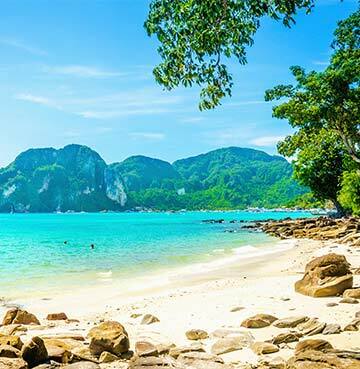 From both golden and volcanic beaches to lush rainforests and mountainous terrain – you'll be hard pushed to find such a wide variety of beautiful and natural landscapes in such a small space. 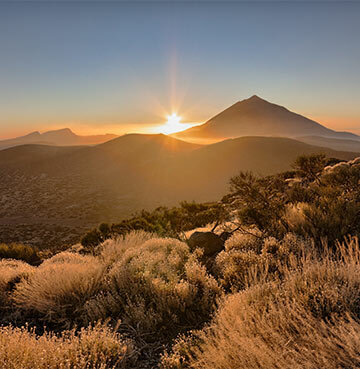 A must-see is Mount Teide – the tallest mountain in Spain – offering magnificent vistas over the island. If hiking isn't your thing, a cable car is on hand to take you to the top. Just sit back, relax and snap away as the view unfolds before you. Teide National Park, a desert landscape made from volcanoes, craters and rivers of petrified lava, sits around the mountain. Full of weird and whacky shaped rock formations, it's perfect for keen photographers and instagrammers alike. Enjoy a mix of relaxing boat trips, adrenaline pumping jet-ski rentals, jeep and hiking tours, waterparks, whale and dolphin watching, snorkelling and scuba diving – there's plenty of ways to make the most of the year-round sunshine! While everyone is struggling with de-icers and eight layers of thermal wear, you could be jetting off to the balmy temperatures of The Algarve. Half the rain and three times the sun makes Portugal an idyllic getaway. The northern parts of Europe may still be cold and frosty, but here the almond trees are already blooming by January. You’ll soon discover the usually crowded beaches and scalloped bays are virtually empty. Giving you full reign of some of the most beautiful coastlines in Europe. The cooler weather makes for perfect hiking and biking conditions, so you won’t even need to break a sweat as you take in the stunning sites. Leave the beach behind for a day, and head inland to rural Algarve and the tranquillity of Monchique. Immerse yourself in leafy woodland and breathtaking scenery, with inviting trails just waiting to be explored. 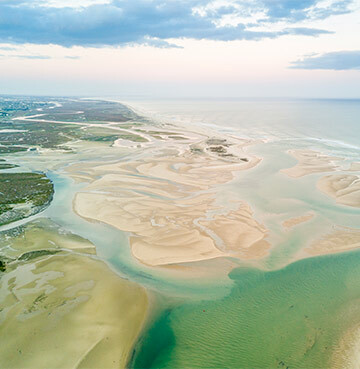 On the west coast lies Ria Formosa Natural Park, a unique coastal lagoon with a huge diversity of flora and fauna. A paradise for birdwatchers, especially in the winter period, when it hosts an impressive 20,000 birds – including colourful flamingos! Don’t miss a day trip to the quaint market town of Loulé. Dotted with cobbled side streets and tree-lined plazas, this unassuming little character town is full of historical monuments and a traditional Portuguese atmosphere. The Municipal museum is home to large exhibits of Roman artefacts. While Loulé castle treats visitors to great views over the old town. Once you’ve got your historic fix, head back to your cosy and warm villa, and indulge in a dip in your heated pool. The perfect end to the perfect day.